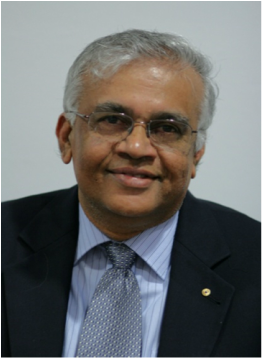 Suresh began his medical career after graduating from the University of Mysore in south India. He came to Sydney in 1972 and began training in surgery. He moved to Adelaide in 1974 as an advanced trainee. He also trained in general medicine at Repatriation Hospital and in Scotland. He worked for some time as a country GP in Whyalla, Burra, Meningie and Maitland. Suresh decided to join the Air Force in 1979 and rose through the ranks to become one of the longest serving medical officers at the Edinburgh Base. He served in Malaysia and East Timor, and travelled extensively in UK and USA. He was a former head of the Institute of Aviation Medicine in Australia. He served a total of 33 yrs in the RAAF reaching the rank of Wing Commander prior to embracing General Practice. Suresh was made a Member of the Order of Australia(AM) in 1993 in recognition of service to the RAAF as a Senior Medical Officer. He has studied aviation medicine at world renowned centre of excellence at Farnborough and obtained a Master’s degree in Occupational Medicine at London school of Hygiene and Tropical Medicine. He has been awarded with a foundation fellowship of the Australasian college of aerospace medicine.